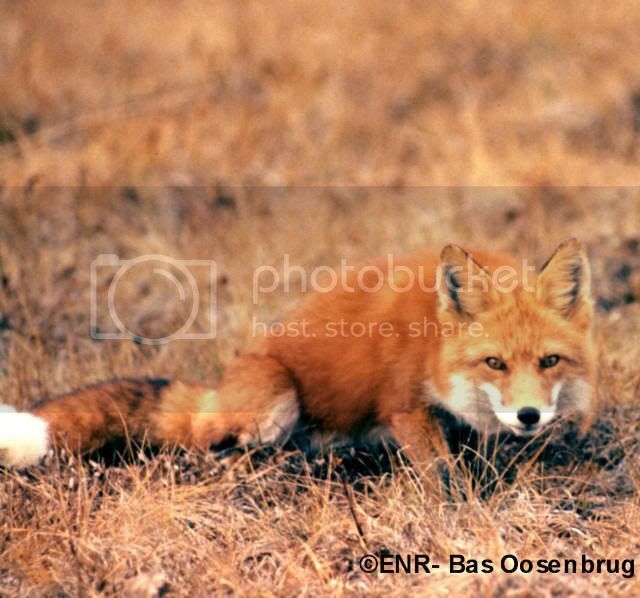 I thought I would expound a little on my namesake and, even though I don’t really like the term, power animal…The fox. I’m not sure why humans feel the need to connect themselves and their spirit self to an animal. Some say that working with animal energies, either directly, or through imagery and symbolism, also serves to bring us in touch with our own animal natures – an aspect of ourselves which is so often repressed. In the book the Golden Compass it says that every human has a daemon—a visible version of the soul that takes on an animal form. The fox to me is very much an outward expression of my soul. Something quite and at peace with itself but not stagnant. The animal itself seems to get a bad wrap being called cunning and deceitful but often times it is the knowledge of generally unknown paths that save the fox from pursuers and knowing their enemy just a little better than they know themselves in order to come out on top. When we discover the animals which most strongly call to us we discover important elements of ourselves. It is said that Shamans believe that everyone has power animals- animal spirits which reside with each individual adding to their power and protecting them from illness, acting similarly to a guardian angel. Each power animal that you have increases your power so that illnesses or negative energy cannot enter your body. The spirit also lends you the wisdon of its kind…for example since Fox is my guide he can lend me qualities of character like…Shapeshifting, Cleverness, Observational skills, Cunning, Stealth, Camouflage, Feminine courage, Invisibility, Ability to observe unseen, Persistence, Gentleness and Swiftness. It has been my experience with the foxes that live in my area that they are silent and ever curious. They’ve stolen clothes from friends that went skinny dipping, joined in nighttime walks and even played frisbee with us. They are delightful fringe creatures, not quite tame but still retaining a strong tone of wild heart. They seem to live in the shadow edges of time mostly appearing in twilight or dusk or in the night. They’ve never shown fear but always cautious. I’ve had one fox come within petting range but I always remember these are wild animals no matter how comfortable they may seem with people. I’ve had a number of foxes run beside me or my vehicle for some distance after I spoke to them. In many cultural folklore the Fox has often been the clever one, sly with his motives often causing trouble but quickly dancing out of it with it’s alluring grace or beauty… or coming to the rescue with unique wisdom and not-so-common sense and often possessing some magical powers. Fox’s most important skill isn’t being able to outrun the hounds, but to know in advance when they’ll be on the hunt, and then making use of its equally important skill of camouflage. 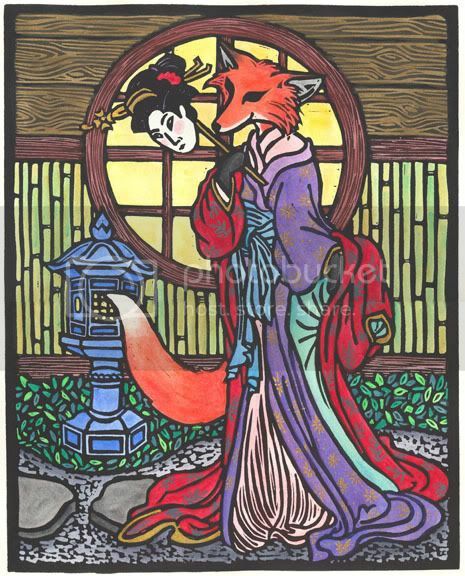 I can’t tell you exactly how “Shinku Kitsune” (Crimson Fox or Blood Fox) came to be bestowed upon me but it had a lot to do with a very dear mage and martial arts friend of mine who knows a considerable side of my heart and of Japanese culture. ‘Kitsune is an animal supposed to be mysterious, fascinating, and mischievous. And he is believed to be very grateful for the kindness done to him, as seen in many tales, and is also affectionate as revealed in some dramas. He is enshrined as a god because of his supernatural power. He is endowed with the subtle art of metamorphosis, and he is able to bewitch men in the guise of a charming girl. An exceedingly interesting and entertaining beast Kitsune is. In many ways the Kitsune and the Ninja seem to have very similar qualities in their place in Japanese culture and lore. They both were widely known but nothing concrete was known about them. They both had magical powers and often disputed if they existed at all. It seems they are both powerful images that know how to keep their secrets and survive thru legend and modern times. In my house I have a large scroll painting from the 1900’s of a fox gazing at her reflection in the water underneath a tree. I also have a blessing board from the shrine of Inari (the rice god, to my understanding) who employes the fox as his messengers. As far as Gaelic culture is concerned there seems to be little on fox lore. It’s mentioned a few times as a wise, clever spirit offering solutions… but as far as today goes, I cannot find any truly authentic Celtic countries that have their own lore connected to the fox. The combined message of lore, religion and my own understanding has come to make the fox a prominent part of my self. But it seems to fit, the ability to be a messenger to gods or a mere mortal creature cleverly working the world to her desires. I’ve often tried to put words to why I feel so close to the fox, what draws me to connect with it as a form of identifying a deeper part of myself. Thank you for this interesting incite.